Watch global superstars Niall Horan and Louis Tomlinson show-off their Geordie accents during a trip to Newcastle. Louis Tomlinson describes Newcastle as 'pretty chaotic'. The singer from One Direction says that after a few visits, he can say they are happy to be here for their world tour shows at Newcastle's Metro Radio Arena. One Direction stars Louis Tomlinson and Niall Horan say that taking a break after their world tour will be 'a shock to the system' after a busy five year schedule. The singers spoke to ITV News Tyne Tees backstage at the Metro Radio Arena before their second of three concerts in Newcastle. They say they are ready for a rest. One Direction: "It's natural to take a break after this schedule"
Louis Tomlinson has defended the band's decision to take a break after their current world tour. The One Direction singer says that is makes sense after such a hectic five years of shows. Louis, who was speaking to ITV News Tyne Tees backstage in Newcastle, added that they will 'definitely get back together'. One Direction are in the region ahead of their second gig at Newcastle's Metro Radio Arena tonight. The boys said their third and final show - tomorrow night - would be the loudest. If you're there, let us know what it's like by tweeting @itvtynetees or emailing pamandian@itv.com. 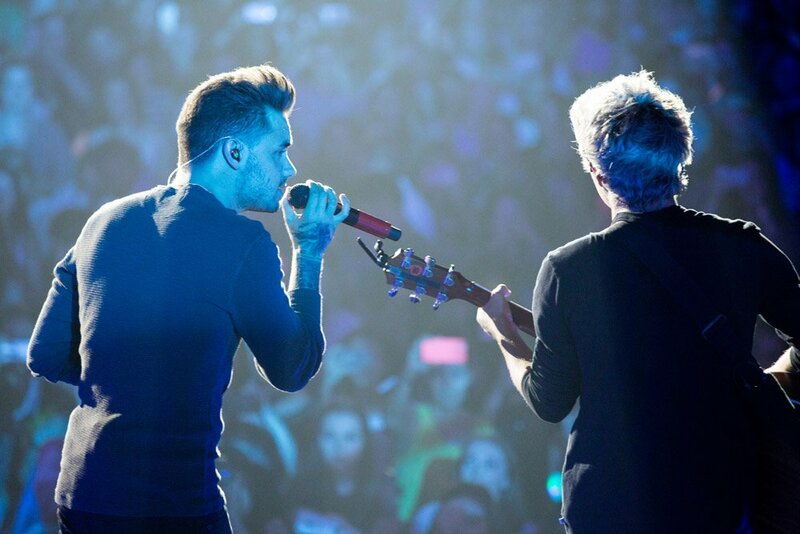 Watch our report about Sunday's One Direction gig here. As 30,000 fans prepare to see One Direction's final performance in the North East for a while, we're catching up with the boys. One Direction fans are turning out to see the band in Newcastle. 30,000 fans will get to see them over the course of three nights. One Direction have said this will be their last tour in quite some time as they prepare to take a break in the spring.